Jane Austen's Birthday - Letter Writing Workshop! Many scholars believe Austen’s first drafts of Sense and Sensibility and Pride and Prejudice were originally written as epistolary novels. From scenes of Miss Caroline Bingley offering to mend Mr Darcy’s pen to Jane Fairfax’s long walks after visiting the post office in Highbury, letters form an important part of Austen’s novels. Who can forget “Be not alarmed, madam…” or “You pierce my soul…”? For our December meeting, guest Lecturer Melissa Mary Alexander has kindly accepted our invitation to travel to our Region from Cincinnati. She will give us a short historical talk about letter-writing in Austen’s novels and then conduct a letter-writing workshop. Each participant will receive a kit of “parchment” and a real quill pen. No worries, we will also have plenty of ball-point pens so that we less nimble-fingered will have a finished product to take home with us at the end of the meeting. Melissa Mary Alexander is a member of the Greater Louisville region of JASNA and a graduate student at the University of Cincinnati where she is studying for her Master’s in history. 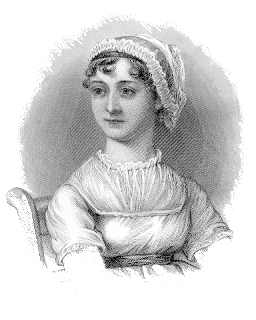 During her undergraduate coursework in English, she focused on 18th and 19th century British literature, leading her to academic studies of various facets of Austen’s works on multiple occasions. Her senior thesis, “Women of Feeling: Understanding Austen’s Marginalized Heroines” was recently published in the Xavier Journal of Undergraduate Student Research. Melissa is also highly engaged in the living history community, which has led her to research topics such as clothing, food, beverages, and letter-writing of Austen's time. She recently presented her breakout session, "A Very Fine Dish: Culinary Class Distinctions in Jane Austen's England" at the Greater Louisville AGM. She looks forward to delving further into material culture history at the University of Cincinnati and in her future studies. We will be ordering materials for this event, so we’ll need a count. Please RSVP to the contact information provided below by Monday December 4th so we can make sure we have enough supplies for everyone! We will also celebrate Jane Austen’s 240th and Emma’s 200th birthday with birthday cake and a birthday toast at the December meeting. Come and enjoy!